It concerns a previously independent country that was invaded by communist China in 1949 and since that time has been brutally occupied, its people and culture ruthlessly exploited and oppressed. Tibetans are a distinct people with their own language, and culture, having had their own currency, postal system, Government and treaties with neighboring countries. That national freedom. which Tibetans had enjoyed for over two millennium, was shattered by China’s invasion. 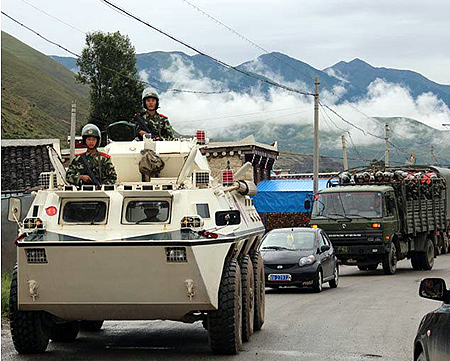 For over 60 years since that illegal military annexation inside Tibet there has been resistance to China’s illegal occupation, waged by Tibetans who are determined to regain their independence. Tibet covers a huge area, three times bigger than Texas, with a population size of around 6 million, over twice that of Chicago. Situated within the heart of the Asian continent Tibet has an average altitude of 4000m above sea level which forms the major part of the highest mountain ranges on earth, the Himalayan-Hindu Kush region. It is an incredibly sensitive environment providing a stunning collection of diverse habitats, wildlife and climatic regions ranging from high cold steppe; montane deserts; tropical montane forests; and alpine meadows. 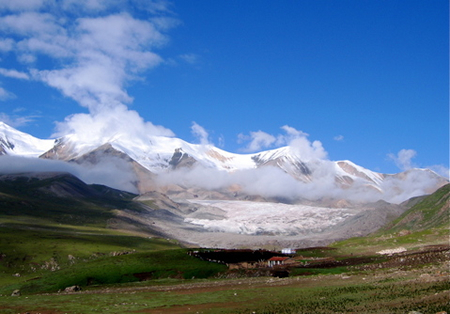 Tibet is also the source of several of Asia’s great rivers including, the Mekong, Bramaputra, Yangstse, and Indus; all of which are fed by an average rainfall of 100 mm in the North of the country to over 1000 mm in the South-East. 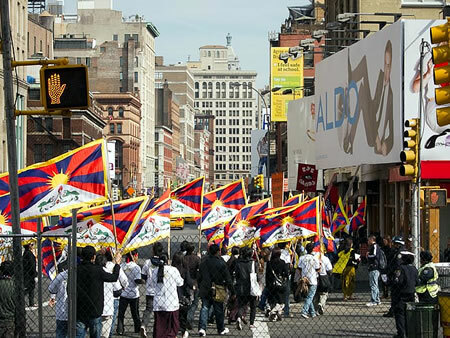 In the years following China’s invasion many Tibetans have fled their homeland seeking refuge in different parts of the world forming an exiled community of over 100, 000 Tibetans based in the USA, Europe. Canada,Australia with the majority living in India. For many centuries Tibet was headed by the office of the Dalai Lama, through a series of reincarnations and selection according to Tibetan Buddhist tradition. In 2011 the present Dalai Lama gave up his political leadership, which is now conferred to an elected Prime Minister. Thanks to the efforts of the Dalai Lama and an exiled Administration (aided by international support) exiled Tibetans have been provided education and health services and encouraged and supported to maintain the many rich traditions of Tibetan culture, including of course its Buddhist based religion. The context within which the violent oppression of Tibetans occurs is the Chinese occupation of Tibet. This began in 1949/50 and is one of the most brutal military occupations in recorded history. Well over one million Tibetans have perished, INCLUDING NEARLY 100,000 TIBETANS TORTURED TO DEATH, and massacres occurred in the late 1950’s and 60’s, long before the so-called ‘Cultural Revolution’, comparable in scale to some of those perpetrated by the Turks in Armenia in 1915. 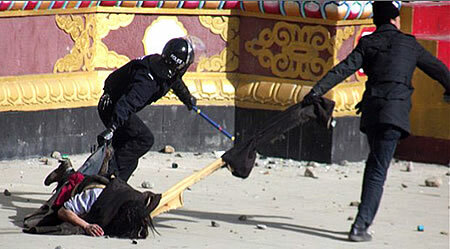 About one in five Tibetans has perished under Chinese rule, a similar percentage to the Polish dead of World War Two. China is arguably a land empire like the former Soviet Union, and it has occupied other territories too. These included East Turkestan, formerly inhabited largely by Moslem peoples, China would be less than half its present size, having no border with India, Nepal, Bhutan, Afghanistan, Pakistan and Korea, and practically none with the former Soviet Union. All these Chinese occupied areas, with small indigenous populations, are reported as suffering from coercive birth control policies, and huge influxes of Chinese settlers have been observed. It is assimilation on a massive and imperial scale with the objective of eradicating Tibetan national and cultural identity. The Chinese justify their occupation of formerly independent Tibet and East Turkestan, on the basis of claims made by ancient imperial dynasties. Similar arguments, if followed by the British government, would seek to legitimize the occupation of Southern Ireland with reference to claims made by the English Plantagenet Kings of the 13th Century. Great Britain could also attempt to re-occupy the USA on the grounds that parts of it were formally controlled by Britain, before reactionary elements detached it from London’s rightful control. Not surprisingly, the Chinese always encounter problems when they try to justify their occupation of Tibet at the United Nations Human Rights Commission, Geneva. Furthermore, Tibet was annexed at a time when many peoples and lands were at last gaining their independence, and since 1945 about 100 such countries have taken their rightful positions in the UN General Assembly. The Chinese occupation of Tibet violates the terms of the UN Charter, which recognizes the right of peoples to determine their own destinies. Understandably enough, Tibetans ask why this right should be extended to the Namibian People, the Baltic States, and East Timor but not so far, to them. 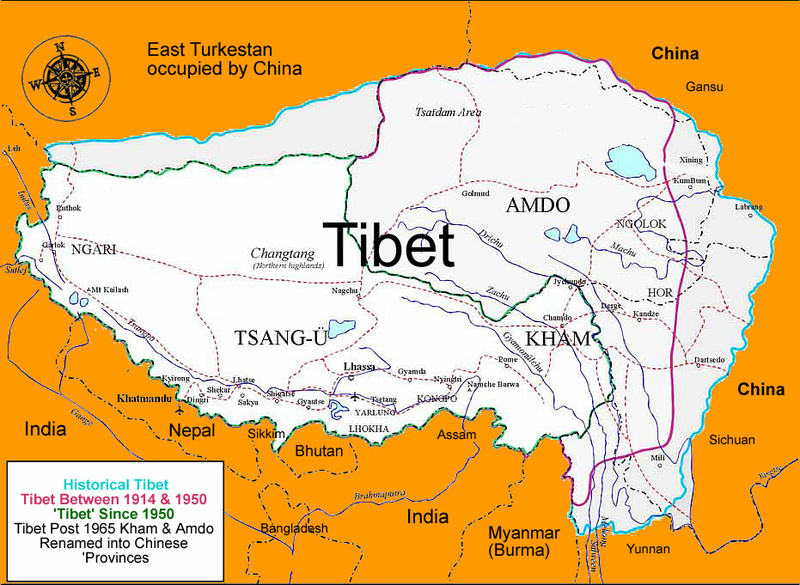 Chinese rule in Tibet was only established after some 400,000 Tibetans died in the ‘Twenty Years War’ (1954-74), and from the very beginning they attempted to exploit Tibetan mineral wealth, in the true traditions of empire. However, many people are puzzled by the Chinese insistence that Tibet has been part of China since at least the +13th Century, when it is perfectly obvious that for most of this period Tibet was independent. Why is it that the Chinese cannot ever admit this fact? The answer is, of course, that if they acknowledged this to be the case they would expose themselves to the retort, that if Tibet has been independent in earlier or present times, it surely has the right to be independent once again. That is why the Chinese cannot admit that Tibet was EVER independent. Since becoming communist (though they seem to have much in common with a Nazi state) the Chinese have become further embroiled in a dilemma of their own creation. Whatever one thinks of the writings of Karl Marx, or of his explanation of history, there is no doubt that he loathed any form of empire and supported the right of peoples to independence. If he were to return now, he would undoubtedly be truly appalled at what the Chinese have done in Tibet, and, hating any form of imperialism, he would have supported the right of the Tibetan people to independence. Given this fact, the Chinese have to insist that Tibet has always been part of China, because if they ever admit the contrary, they know only too well that they can be accused of imperialism in the occupation and subjugation of Tibet. They can only deflect such criticism by insisting that Tibet has always been part of China, and if they admit that there have been periods of history when their control was minimal or almost non-existent, they can only rectify this position by insisting that links between Tibet and the ‘motherland’ were weakened by the intrigues of foreign imperialists. All-in-all this is an extremely unstable position, and the Chinese know it. Unfortunately, the world of politics is replete with such dubious interpretations of history and unconvincing sleights-of-hand, and it is not surprising that those who embrace them often display extreme irritability if their position is ever challenged, since they know that it is ultimately untenable. This is certainly the case with the communist Chinese government. 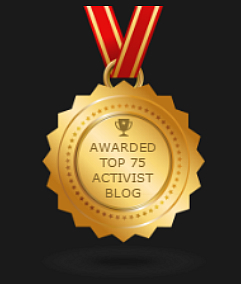 From the early 1980’s to the present, a spate of disclosures from Tibet has resulted in a greatly increased media interest in Tibet, and references are made more frequently now on across the Internet and television to a range of atrocities suffered by Tibetans, including China’s coercive birth control policies in Tibet. The Tienanmen Massacre of 1989 inclined many more people to listen with open minds to the tragic saga of Tibet, since it was somewhat belatedly realised that a regime which slaughters its citizens in its own capital, and hunts its young people down like beasts will not hesitate to act similarly in remote areas under military occupation, such as Tibet. 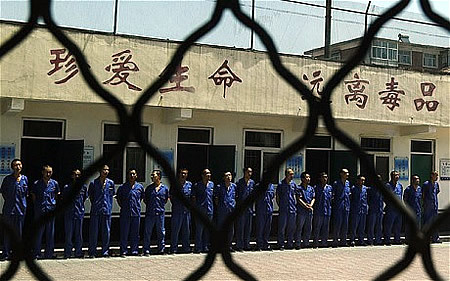 Over the years reports from Tibet have indicated the existence of concentration camps, a slave labour complex in Xining (formerly the Amdo Province of E. Tibet), which is the most densely populated gulag in the world, and may have over 10 million inmates. 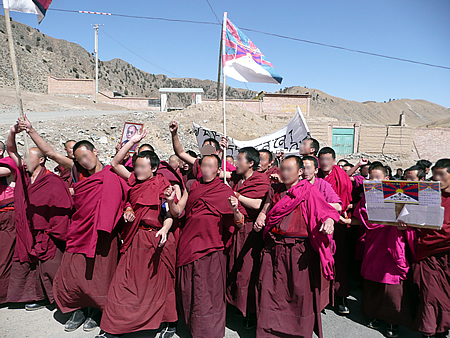 Political prisoners suffer a range of major human rights abuses and such camps are characterized by the systematic use of torture, with racial discrimination against Tibetans, bordering on apartheid, being common. Disturbing accounts too have emerged documenting the extraction of blood from Tibetan prisoners many of whom are women, who have been weakened by hunger, cold, torture and long beatings. 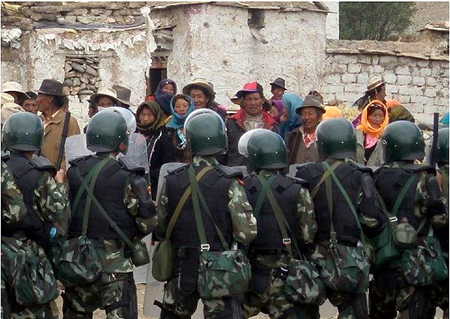 China’s policy on Tibet is one of assimilation and colonization, any tourist who chooses to lay aside the troubling ethics of visiting a land where people are suffering such oppression, would notice how Chinese colonizers are visible in huge numbers across occupied Tibet. They dominate employment, business, the tourist industry while Tibetan towns have become concrete sprawls, entirely Chinese in appearance, Tibetans find themselves denied and marginalized by China’s colonizers, forced to learn Chinese at schools, denied the medical and educational services afforded to Chinese ‘settlers’. It is an economic, social and educational apartheid, enforced upon Tibetans in their own land, by a foreign oppressor. 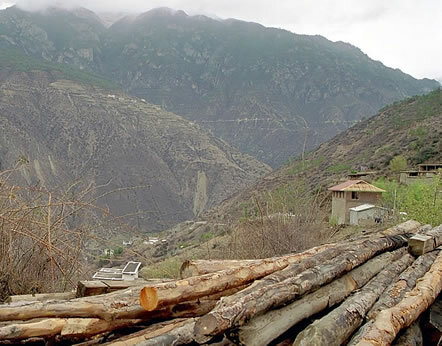 Meanwhile environmental damage inside Tibet is a cause for serious concern, as China ruthlessly exploits Tibet’s natural resources through mining, deforestation and nuclear pollution.